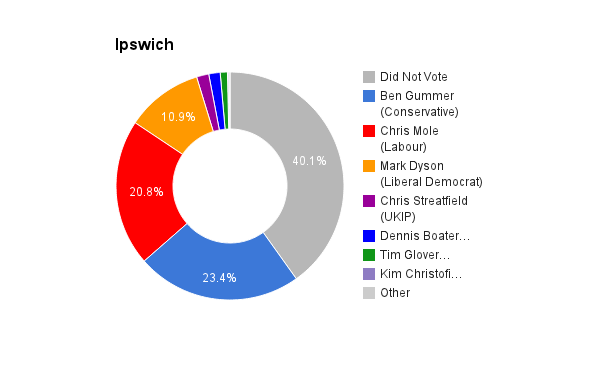 The constituency covers Ipswich town centre and docks, one of the few higher density population areas in Suffolk. For many years generally favorable to Labour Party candidates, the seat was gained by the Tories in the 2010 General Election. The current MP is Ben Gummer.